Christian hip-hop broadcasts around the world and the credit goes to God for directing Emcee N.I.C.E. and Chantal “Chani G” Grayson to go global. 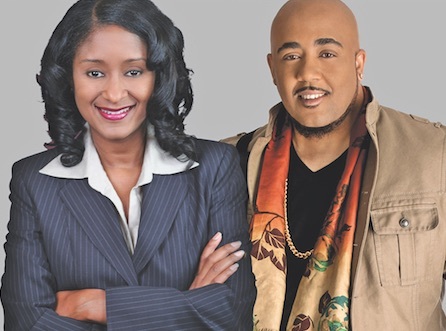 As the owners of Internet radio station GH3radio, which stands for God’s House of Hip-Hop, millions of listeners across the U.S. and abroad hear scripture-based, hip-hop songs of praise, love and inspiration. 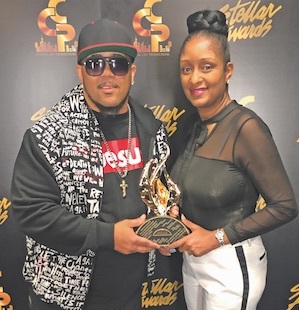 The L.A.-based station’s popularity and superb production led to GH3’s 2019 Stellar Award nomination for Rap Hip-Hop Gospel Song of the Year and winning a Stellar for Internet Station of the Year. Although young in age, both Hamilton and Grayson have dedicated many years to offering uplifting projects to the community. In addition to co-operating GH3, Grayson is an author, broker and owner of the Gypsy City Music label, which includes Emcee N.I.C.E. as one its acts. Also, she is the co-founder/executive director of the Information, Technology and Literacy Foundation. The nonprofit organization produces events and programs for youth and young girls of color. Her sessions focus on improving literacy, positive affirmations, eliminating self-hate, paths to success and other uplifting topics. As for Hamilton, he is a veteran hip-hop artist, producer and writer who experienced considerable success with secular music from his collaborations with rap icons NAS and 2Pac (posthumously), his song on the soundtrack of the Academy Award-winning film, “Crash” (2004) and his cover of Prince’s “Pop Life” (2011). His decision to become a solo Christian hip-hop artist has yielded impressive results as well. Hamilton’s debut album, “Praise” (2017), topped the gospel charts and the featured single, “I Got Angels,” made to it to the number one spot on Billboard’s Top Gospel Albums, Gospel Album Sales, Hot Single Sales and Digital Song Sales charts. He continued the trend with “Glory to God (2018), a collaboration with gospel star Fred Hammond that debuted at number three. While the business partners expect to make many more changes in their Christian hip-hop careers, the one constant that will be front and center is their relationship with Christ. Grayson and Hamilton both identify God is the guiding factor in their lives. “For me, God is always a constant. I always say that God is the CEO of my company. I might be the CEO of my record company and all of my other entrepreneurial endeavors, but God is always at the forefront of that. I keep putting Him first and it limits my mistakes,” insisted Grayson. To learn more, visit gh3radio.com and emceenice.com.